Competing with Canon, Sony and other multi- national companies, Tasmanian film-maker, Pawel Achtel, has just won top prize at a prestigious international award ceremony, held in Las Vegas overnight. With the Oscars over, the latest inventions in the film industry – the products used to make the movies – take centre stage each year at the huge NAB trade show in Las Vegas, USA. It’s the world’s most prestigious annual show of film and TV technology. 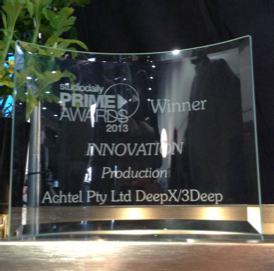 And this year two of the nineteen finalists for best invention in film production were the creations of Achtel’s small, Australian company. 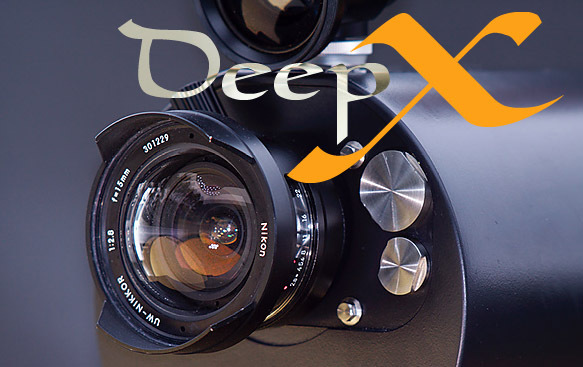 In an industry dominated by large multi-nationals, his company has produced the most innovative underwater filming system in years – revolutionary new housings: DeepX and 3Deep® for shooting in 2D and 3D underwater. Up until now, capturing cinema-quality images underwater, especially in 3D, has meant large, cumbersome and expensive equipment, large camera crews, and images dramatically degraded by the underwater camera housings available. It’s made it almost impossible for film-makers to get close to the very creatures they’re trying to film. And it’s never been possible to capture images that match the quality you can get above water. Achtel’s inventions change all that. Instead of following the tradition of using large glass plates or domes in front of lenses designed for use on land, Achtel has adapted the latest digital cameras and used lenses designed specially for the very different optical conditions underwater. As a result, for the first time ever, the images from his camera systems produce pin-sharp, undistorted images suitable for the biggest cinema screens in the world. But it’s not just the quality of the images that sets Achtel’s underwater camera systems apart from the rest; it’s the sheer size – or lack of it. With his latest invention, the 3Deep® underwater camera system, you can film pristine 3D images using a rig that weighs not 120kg but a mere 20kg. So you can go places, and get images, where no-one has gone before.